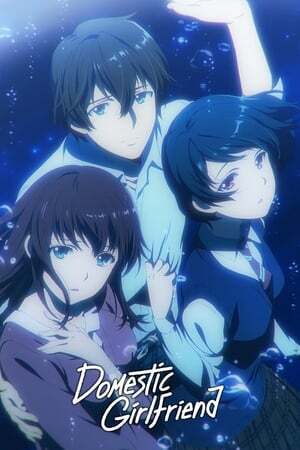 movie with the title Domestic Girlfriend, story about Natsuo is a high school boy who is experiencing the crushing despair of unrequited love. To make matters worse, the person he is in love with is his teacher, Hina. In an attempt to lift his spirits, he attends a mixer where he meets a girl named Rui. The two sleep together, expecting never to see one another again, but fate has other plans. His life suddenly becomes more complicated when his father comes home and announces he has remarried a woman with two daughters whom Natsuo has met before: Hina and Rui!